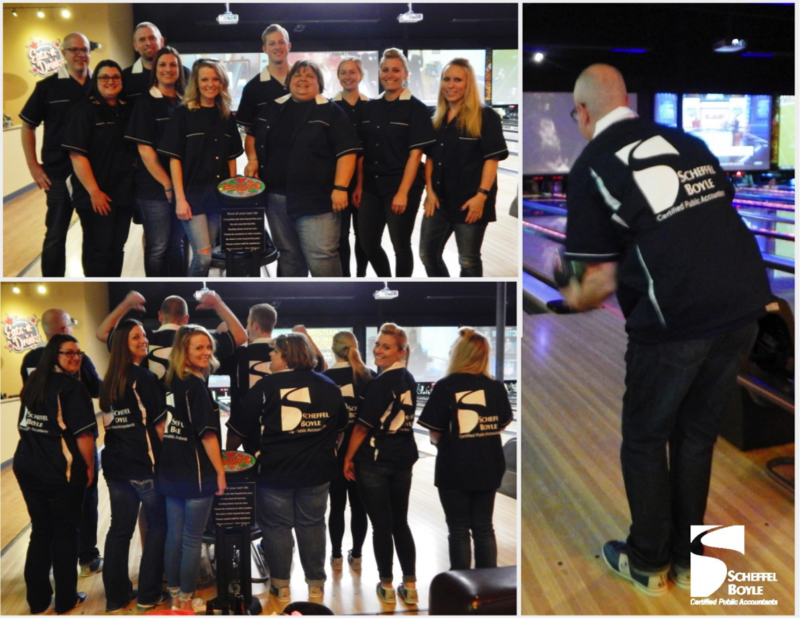 Our employees have once again teamed up to raise funds for Big Brothers Big Sisters (BBBS) of Southwestern Illinois at the annual Bowl for Kids’ Sake fundraiser. This year our teams raised over $5,400 for the agency through their efforts, which will all be donated directly to BBBS of Southwestern Illinois. Scheffel Boyle’s two bowling teams, the Tax Manian Devils and the Ten-Key Strikers, participated in the event on April 25th at Edison’s Entertainment Complex in Edwardsville. 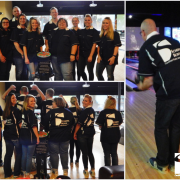 Our ten bowlers are responsible for doing their own fundraising for the event, and it’s a friendly competition among the coworkers as to who can raise the most money for BBBS. This year, one of our teams ranked 1st for the entire Southwestern Illinois region for total funds raised, and Scheffel Boyle placed 2nd overall in fundraising. Big shout-out to our bowlers Elizabeth Heil, Carrie Evans, Jenna Andres, Josh Andres, Michael Brokering, Sarah Smith, Jennison Ebbert, Crystal Schulte, Chad Frerichs, and Crystal Bock. Thank you for all you do for this amazing organization! BBBS has been changing lives of youth throughout the U.S. for more than 100 years. Their vision “that all children achieve success in life”, is supported through donations and fundraising events, such as Bowl for Kids’ Sake. For information on how you can donate or participate in a BBBS of Southwestern Illinois event, visit www.bbbsil.org.